I received an absolutely delicious slab of ribs from Pig of the Month to try, and I literally thought that was it for my diet. I have been dieting for months now, and I've had a few slip-ups. I was always able to get over the foods that I wanted though. So, I thought - "Oh, no big deal. I'll have 1 rib, and I'll be fine." No way. I ate that rib, and I wanted to eat all of the rest, by myself. These ribs were hands down, the most delicious ribs I have ever eaten. They were extremely tender, and the sauce, is SO delicious. You can tell just by looking at this picture how delicious they are, and tender. Normally, I am not a huge rib fan, because I can't stand eating anything on a bone. I was a strong vegetarian for over 4 years, and I'm just never comfortable with it. Well, Pig of the Month's ribs were so delicious, that I didn't even think about it! I ended up having 3 ribs, and thankfully, the rest of my family ate the remaining ribs- Because I would have ate every last bit if they hadn't. The sauce we received was the "Cattle King Sauce." It was unlike any other sauce I've ever tasted. Extremely delicious! The people behind Pig of the Month, literally traveled the world, looking for the best sauces out there. Until they realized - They can make it themselves! I believe that Pig of the Month has done an amazing job. Their sauce would definitely be hard to beat! If you are looking for an absolutely amazing dinner idea - Definitely check out Pig of the Month. They deliver Ribs right to your door! And the best part? They have a 100% Money Back Guarantee. Pig of the Month is also on Facebook, and they have an AMAZING contest going on right now, where you can win BBQ For Life. All you have to do is Like their page, so don't miss your chance :)! Disclosure: Review product was provided to me free of charge. All opinions expressed are my own, and were not influenced in any way. Facebook is in no way involved. This giveaway ends October 22nd, 2011 at 11:59 pm. Winner is drawn via Random.org, and will have 48 hours to respond to my email, before a new winner is drawn. I would love to try the Love Me Tender: The King of Memphis BBQ Sauce. I would like to try the Hawaiian BBQ. I was born in Memphis, so I'd go for the Love Me Tender: The King of Memphis BBQ Sauce. I think the Get Lei'd Hawaiian BBQ Sauce sounds amazing!! I would love to try either the Hawaiian BBQ Sauce or the Key West Sauce, they all sound yummy! Thanks so much for hosting this great giveaway! 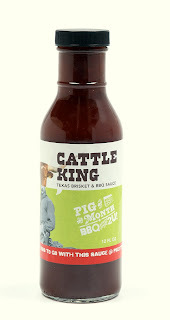 I want to try Pig of the Month because BBQ sauce is my favorite condiment! I'd like to try this because we love BBQ and cooking great ribs is an art form (which sadly, I've not yet mastered). The Hawaiian bbq sounds yummy! Love Me Tender The King of Memphis BBQ Sauce sounds good to me! I'd love to try they Hawaiian BBQ sauce! I'd love to try ANY!! Love Me Tender: The King of Memphis BBQ Sauce sounds really good though! I'd luv to try the Key West In A Bottle Citrus Grilling Sauce ...they use fresh grapefruit, mango, pineapple, lemon, and lime juice, top it off with brown sugar, some tomato base, and cracked black pepper. I would like to try the Hawaiian bbq sauce. Tangy sweet carolina BBQ sauce sounds good. I'd most like to try Get Lei'd Hawaiian BBQ Sauce ヅ *Thanks* for the giveaway! Love Me Tender sounds so delicious! 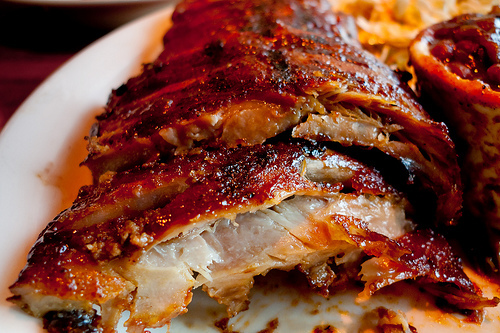 We are HUGE rib fans. My husband likes to smoke em, and I like to eat em. And a good sauce makes all the difference! I just LOVE BBQ--maybe it's being from Texas? I would love to try Get Lei'd Hawaiian BBQ Sauce yum! I´d like the Tangy and Sweet Carolina Red Sauce. I am always up for a great BBQ! I would love to try Pig of the Month!!! We are always throwing cook outs, even in the winter with Football season grillin in the snow lol. I'd love to try it because I love pork! Love Me Tender The King of Memphis BBQ Sauce. I would love to try the Hawaiian style BBQ sauce. YUM! Get Lei'd Hawaiian BBQ Sauce sounds amazing!! I love baby back ribs. I'd like to try all. I'd like to try the Hawaiian-style BBQ sauce! I'd love to try the Love Me Tender sauce. MMM! I Would like to try because I have not had ribs in over two years would be a nice change. Carolina Red baby back ribs sounds heavenly. Now i'm hungry lol. Just by the picture I'd love to try their baby back ribs, but I'd also like to try their King of Memphis BBQ Sauce ! Love ribs and would love to try these. Delicious giveaway. Thanks. If I won I'd go for the Key West in a Bottle Citrus Grilling Sauce. I'd love to try the Hawaiian Style BBQ Sauce. I want to try the King of Memphis BBQ sauce. King of Memphis BBQ Sauce sounds awesome! I would love to try Leid Hawaiian! I'd like to try the Key West Style. I would love to try the Key West and the Colonel Mustard sauce. I had never even thought of these but the sound so good!! OH man the Miss Scarlets Carolina Red BBQ Sauce sounds mouth watering!! I would like to try it because my poor husband is meat deprived since we usually eat vegetarian meals. He would love this! Colonel Mustard sounds pretty yummy! I'd like to try the Key West in a Bottle Citrus Grilling Sauce. I would enjoy restaurant quality ribs st home with the Hawaiian BBQ Sauce. I am a huge BBQ eater! I LOVE ribs and would love to try these! Thanks for the giveaway! The love me tender sauce. What a great idea- Pig of the Month. I love ribs, but I haven't had babybacks in years. I would love this for my parents. it would make a really fun date night in perhaps. fun idea. the lei'd Hawaiian - yum! The brisket sauce looks great! And my husband would love the pulled pork too. Great products!